Our Private Equity operations are focused on generating value for our investor clients seeking growth opportunities in unlisted businesses at an early stage. We back dynamic entrepreneurs and help small and medium enterprises to scale up, while having a focus on sustainability. The private equity operations are led by an experienced team with a solid background in investing and business operations. IndiaNivesh Growth & Special Situations Fund is a Rs. 150 crore private equity fund aimed at creating high growth direct investment opportunities. The focus of the fund is small and micro businesses with a horizon of 4-6 years. The fund is now closed for subscriptions. Acquisition of significant minority stakes in companies that we invest in thereby creating value for both the businesses and investors. Investment in businesses with a positive cash flow at an early stage. Investment size ranges from Rs. 10 crore to Rs. 25 crore. Our management team has significant operational experience and works with investee companies at each step. This ensures that profitability arises at an early growth stage for future business expansion plans. We are currently invested in asset-light B2C businesses, companies that offer disruptive technologies and services, retail consumption, agri-businesses as well as logistics. IndiaNivesh may participate as a strategic investor in Investment opportunities that do not conflict with prospects for our Private Equity funds. Presently, IndiaNivesh has made strategic investments into areas of affordable housing finance and micro finance. We are also very conversant with investment in distressed assets. In fact, IndiaNivesh has a very good track record in converting distressed assets into highly profitable investment opportunities. We are also able to create a consortium of investors to co-invest with us in strategic investment opportunities. K K Rathi has over three decades of experience in turning around businesses, principal investing, mentoring investee companies, mergers and acquisitions, joint ventures and corporate restructuring. 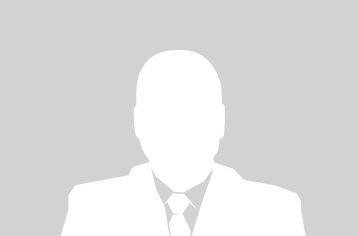 Previously he was Director and CEO of Future Consumer Enterprise Limited. He was instrumental in making many investments, Joint Ventures, mentoring and consolidation of various businesses of Future Group as also in various divestment of stake in Food, fashion and financial services businesses of Future Group. He has worked briefly with Motilal Oswal PE where he spearheaded and mentored couple of companies and also set up the First Real Estate Fund for MOPE. . During his long career in Industry he has served as Group CFO of Future Group and as CFO of H&R Johnson (I) Limited and Head Corp Finance at KEC International. Sridhar has over three decades of experience in investment banking, debt resolution and bankruptcy practices. 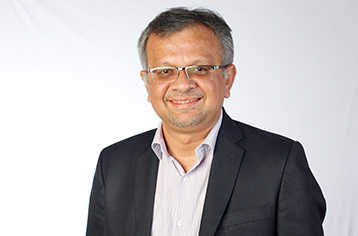 Previously Sridhar held leadership positions at Alpen Capital, Cadila Pharma, Brescon Corporate Advisors, SKD Group (Hong Kong), Texmaco Polysindo (Indonesia) and Coastal Group (South Africa). He has successfully concluded transactions relating to debt restructuring under SARFAESI Act, labour restructuring of a large South African company and turned around many loss making companies. Sridhar is a Chartered Accountant, Cost and Works Accountant and a CPA (US). Paritosh has more than two decades of experience in corporate and structured finance, strategy execution, investor relations, risk management and investments. Previously, he served in senior management positions at Al Musbah, Future Group, Tata Housing, Mercator, amongst others. He was also one of the founding members of Milestone Capital Advisors Ltd, where he served as CFO and Executive Director. He is a Chartered Accountant and has completed an Advance Management Programme from ISB-Kellogg.